Toot-toot, here comes the small pixie Chipper Chap with his thrilling train. 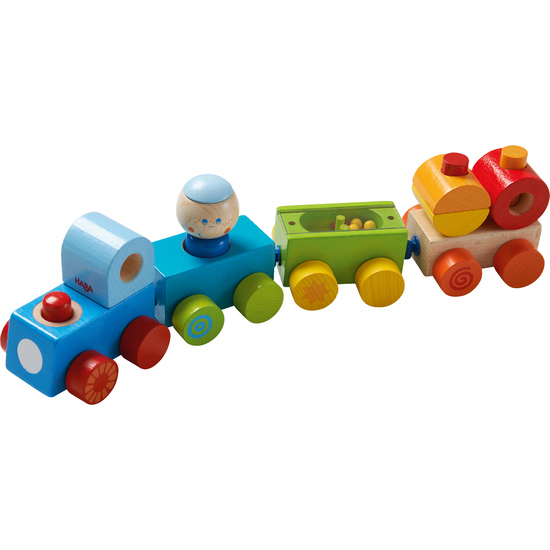 Its cargo is a heap of surprises: the light green wagon carries an exciting discovery game with beads and the natural colored wagon comes with a fantastic stacking game. And of course the pixie also comes along. He steps into the light blue wagon ... and off you go!